You don't want me on your side! Go St. Louis and Minnesota!!!! I ran across these photos that Norm took a few weeks ago. We had a lovely time of today mixing with yesterday when Kate and Jeff both came home for a visit. While we missed Cy, who couldn't make it because of academic commitments, it was sweet to slip back into a treasured memory when we four made the trek to Green Bluff to pick apples just like we did so many times as the children were growing up. The tradition started in California when I was pregnant with Kate. Norm's mom, Jo took me to Watsonville to visit apple orchards. We ate mile-high apple pie, picked apples, looked at antiques. It was wonderful. As the children grew, they came along. 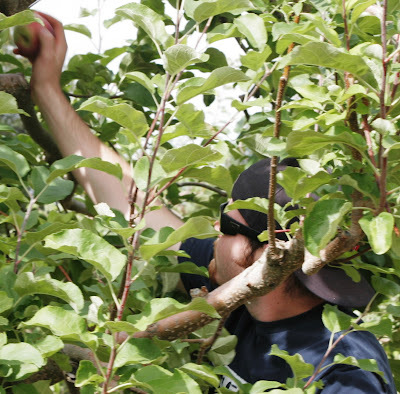 A few years later, the annual Watsonville expedition , now called "Apple Day", had grown to include aunts, uncles, cousins, fathers, and even Granddad. The tradition continued when we moved to Spokane. 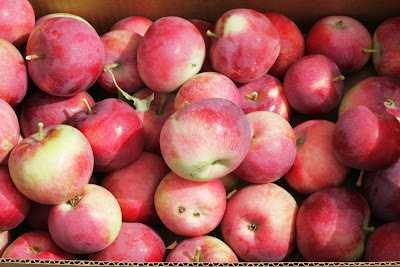 Spokane, being in Washington, did apple day even better than California. Relatives from Santa Clara, and Hollywood even made the trip to Spokane several times to experience the new apple experience. Well, the "kids" have changed, haven't they? 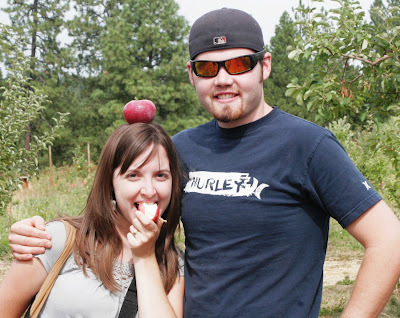 Two of our "Apple Day" adventurers are no longer with us and we miss them dearly. On the other hand, we've added a new member of the apple brigade, who fits in as though he were always a part (even though he was not on this particular trip).